as·sid·u·ous [? síjjoo ?ss] adjective very careful: showing persistent and hard-working effort in doing something [Mid-16th century. 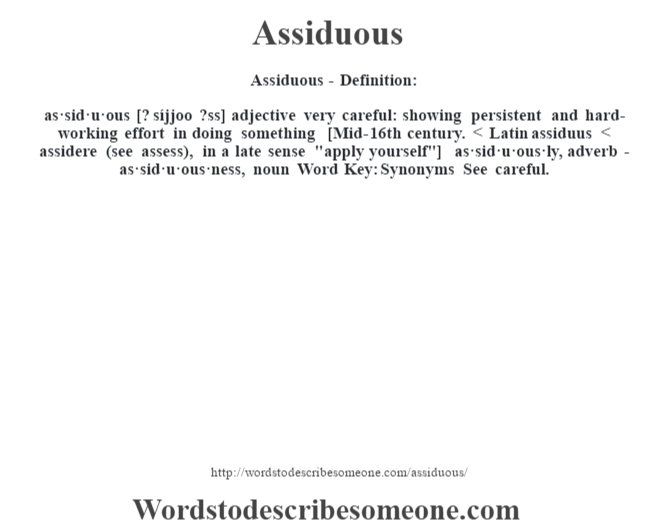 < Latin assiduus < assidere (see assess), in a late sense "apply yourself"] -as·sid·u·ous·ly, adverb -as·sid·u·ous·ness, noun Word Key: Synonyms See careful.